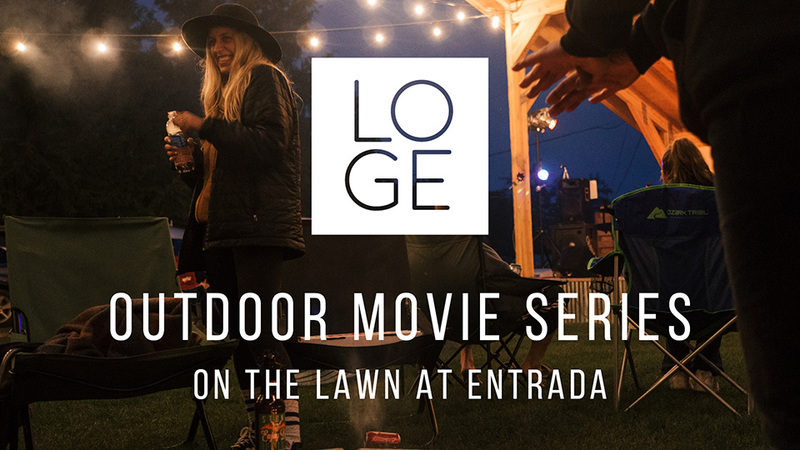 Every Friday night, free outdoor movies on the lawn at LOGE Entrada! We’ll be showing all of the best outdoor documentaries, sports action flicks, and blockbuster adventure classics! Come see your favorite mountain bike shred film or surf the big waves with the classics! Movie times vary slightly through summer based on sunset. – 5/25 movie starts at 9:00 p.m.
– 6/1 movie starts at 8:30 p.m.
– 6/8-7/27 movie starts at 9:30 p.m.
– 8/3 movie starts at 9:00 p.m.
– 8/10-8/31 movie starts at 8:30 p.m.
– 9/7-10/5 movie starts at 8:00 p.m.